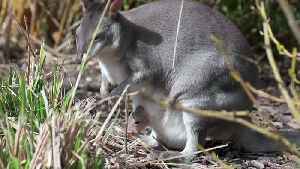 England’s Chester Zoo was celebrating the mid-April debut of their first dusky pademelon joey who was born earlier this spring to its mother, Styx.Dusky pademelons are from the same marsupial family as kangaroos, and are native to New Guinea, according to National Geographic.The zoo shared photos and footage of the joey peeking out of the first time mother’s pouch. 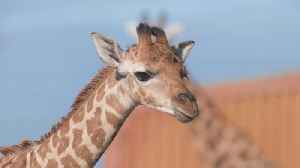 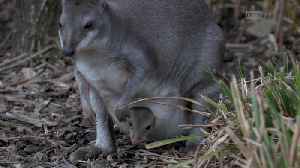 The zoo said joeys are born 30 days after mating and continue growing in their mother’s pouches before fully emerging after about seven months.Zoo officials believe the joey will fully emerge from its mother’s pouch soon, allowing them to determine its gender and give it a name. 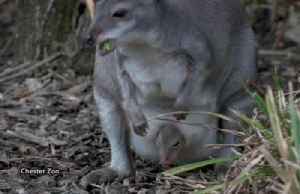 A ‘miniature kangaroo’ from Indonesia was born at Chester Zoo in Cheshire, England. 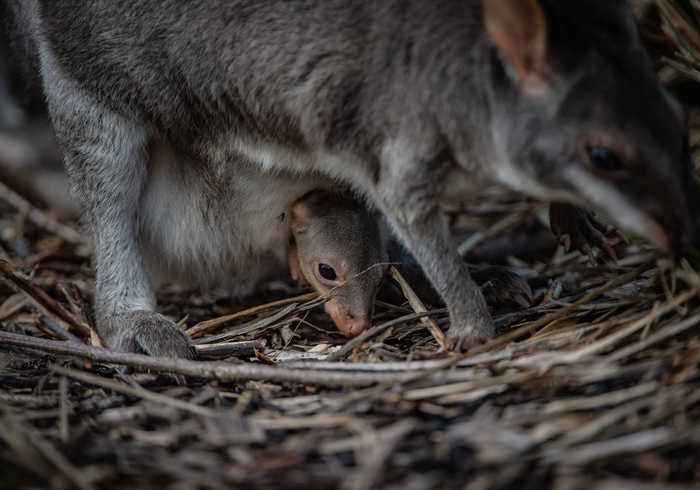 The zoo is celebrating the birth of its first dusky pademelon Report by Avagninag. 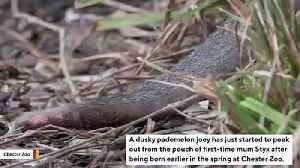 Like us on Facebook at..
An adorable koala joey turned one on April 9, and the staff at Symbio Wildlife Park pulled out all the stops to help her celebrate.Footage released by the park, near Sydney, shows super-cute Ellie..
Six rare lemurs have been born at the UK's Chester Zoo. 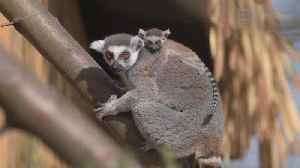 They are five endangered ring-tailed lemur babies - including two sets of twins.